The Wall Panel X is a wall mount station with direct access to three channels (either a single direct user or a group). The Wall panel X has an integrated speaker and a headset connection. 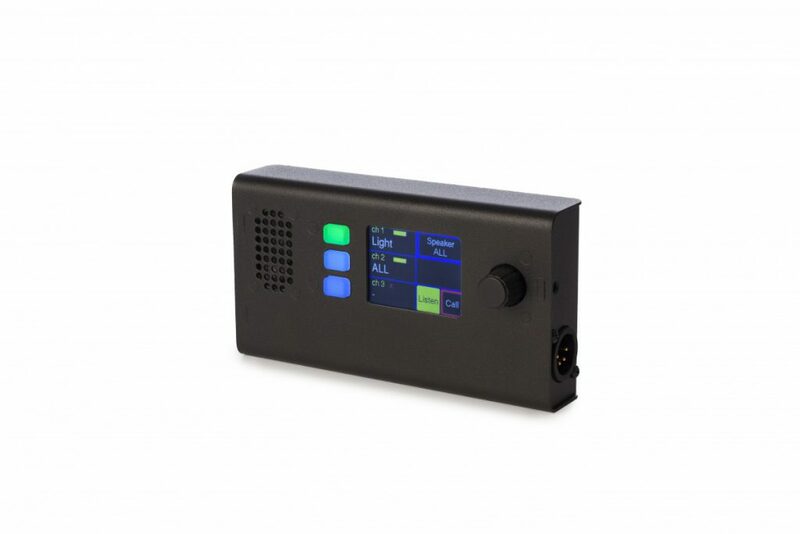 The Wall Panel X allows you to connect to all desired stations on the Green-GO network. It has a full-color TFT touchscreen. The Wall Panel has a rotary encoder which acts as a volume control. When pressed, the encoder answers the most recent audio source. Three buttons on the front of the panel provide instant access to the three communication channels. All matrix data is stored internally. 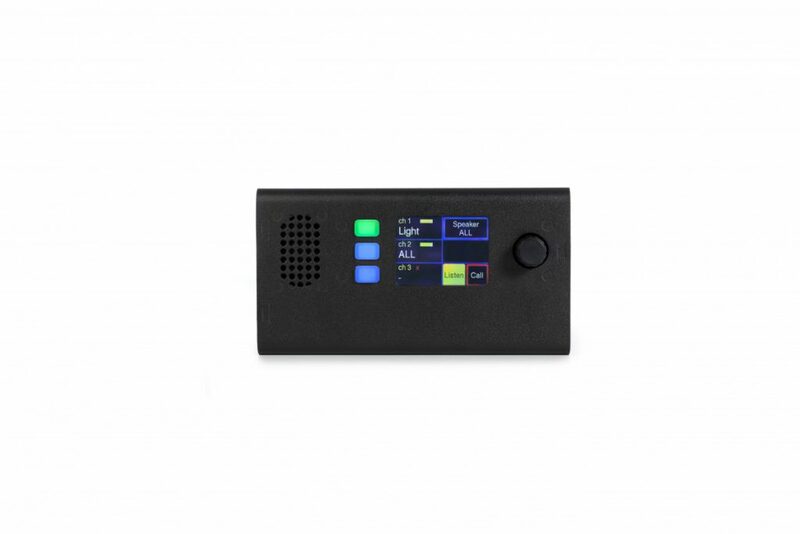 The Wall Panel X can make use of 32 available channels, a program audio channel and an extra channel for direct user communication on the headset. An extra set of channels is available for the Speaker. This means that users can talk to multiple groups or directly (and privately) to other users.